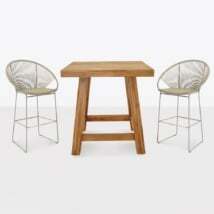 Gather around this 35″ bar table with friends and your favorite drink and apertif! 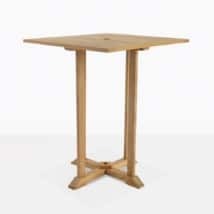 Made from A-Grade teak this classic square bar table fits 4 Verona bar stools and can accommodate an umbrella. 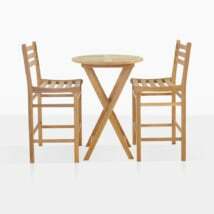 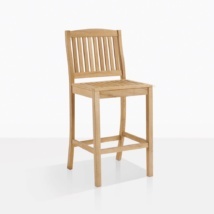 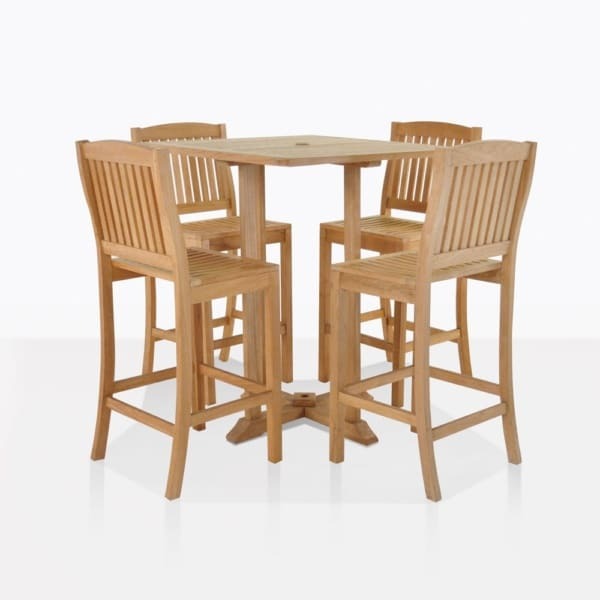 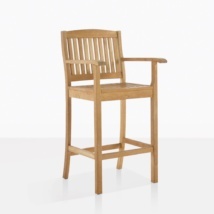 The Verona bar stool is comfortable with clean lines and made from A-Grade teak.